Quality First" is the foundation of everything that LEISHEN practices. Quality is no longer limited to the performance of finished products, but includes cost, delivery, service and environment as well. LEISHEN believes that quality represents the customer’s level of satisfaction in all these areas. Safety is also part of LEISHEN’s manufacturing philosophy. Safety is upheld by the LEISHEN Group as a corporate objective and is well supported by corporate management. Not only does our Corporate Quality Assurance Division adhere to the policy of placing quality first, it is also a company-wide practice. Significant attention is paid to every manufacturing process, from the development of new products and new manufacturing systems to the purchase of raw materials. LEISHEN has built comprehensive quality and reliability assurance and control systems into our processes and services from technology development to production. In addition, we have various labs and analytical tools to perform material analysis, product failure analysis and yield enhancement, reliability qualification and monitoring, as well as tool calibration. To ensure a consistent level of quality and flexibility for our customers, LEISHEN uses a "PPM" concept whereby all equipment and process recipes are tuned to achieve the same test and yield results at any of our fabs. • Process reliability monitoring during manufacturing. • Strict quality control of incoming raw materials and outgoing products. • Stringent monitoring of in-line processes. through the development, qualification and production stages. mass production for fast feedback and continuous improvement. The pursuit of quality is a continuous effort at LEISHEN. 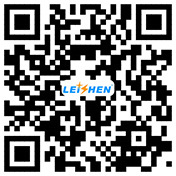 To maintain a high level of quality in our work and processes, LEISHEN emphasizes clear and concise process definitions, standardized procedures, well-defined responsibilities, and detailed documentation of customer requirements, products performance and production analysis, and a high level of customer transparency.